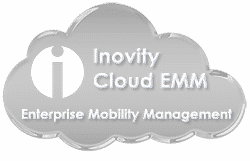 Enterprise Printing solutions from Inovity offer flexibility in design and printing, as well as integration with core business applications such as SAP, QuickBooks, Oracle applications, MAS 90, Dynamics GP and more. With seamless integration to your core business applications and physical processes, enterprise printing systems can provide a centrally managed, fault-tolerant, scalable, flexible system, that tightly integrates into your corporate information systems eliminating manual user input or off-line databases. Labeling systems can be varied and complex. Choosing an experienced and certified partner, such as Inovity, can mean the difference between an enterprise printing system that seamlessly generates labels and one that generates headaches. Contact us today to learn more. A key element of a system’s flexibility is allowing label designs, containing encoded barcode symbol data from your business systems to be sent to any printer without needing to be re-designed. Most non-enterprise labeling applications design a label specific to a single printer (or printer family) requiring multiple versions of the label be designed and maintained. An enterprise printing system allows key labels to be designed once and used across the enterprise, regardless of printer or user. Today’s enterprise typically supports a wide range of printers. As technology evolves and improves, an organization’s printing environment is likely quite diverse. Having a system that supports the widest range of printers—and allows the rapid addition of more printers—is key to future growth. A flexible printing system will allow the addition and use of automated technologies, such as barcoding or RFID, without disruption to operations. A properly-designed enterprise printing solution will take the use of future technologies into consideration. You have product to ship. Your printing system shouldn’t slow you down. Reduce the need to support and manage local printers and client software with centralized, network or web-based management. Read how unifying labeling with a Label Management System (LMS) improves master data management, streamlines compliance and builds a next-generation system to support future growth. Download now.